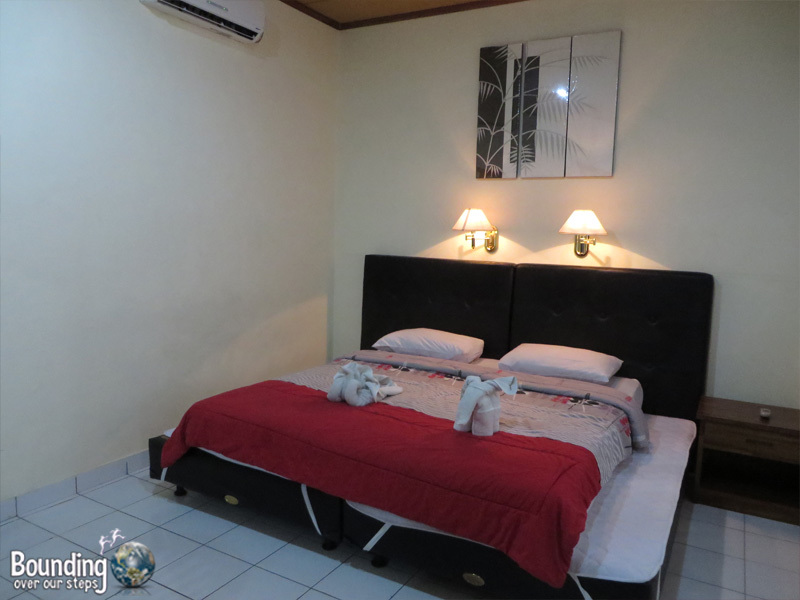 Si Doi Hotel Legian is perfectly located for a quiet stay away from the loud party scene of Kuta, yet still close enough to the restaurants and the famous Kuta Beach. Along with its sister hotel in Kuta, Si Doi in Legian is locally owned, family-run and the staff has high standards of hospitality. Right from the start we felt very comfortable at Si Doi Hotel. The staff was very friendly, helpful with getting our bearings and attentive to detail. We were ushered to our room and along the way were greeted with smiling faces and a “hello” from every staff member we passed. We were also assured that if we had any questions or needed anything that the 24-hour front desk was only a phone call away simply by dialing “0” from the phone in our room. We stayed in a Superior Room featuring a comfortable bed, ample closet space for belongings and a living room area with a second flat-screen television. Look at the cute towel animals! 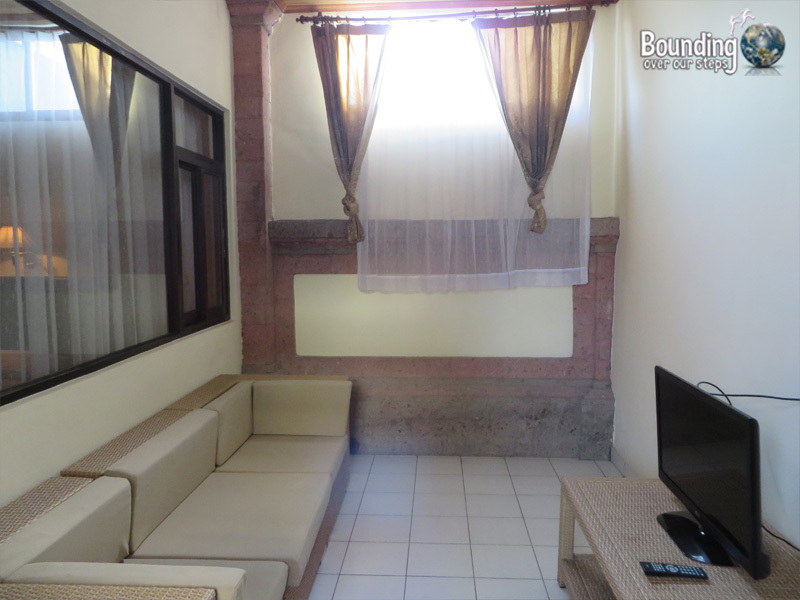 Tired from touring southern Bali, we were so pleased to see a nice, big soaker bathtub in the bathroom with consistent hot water. 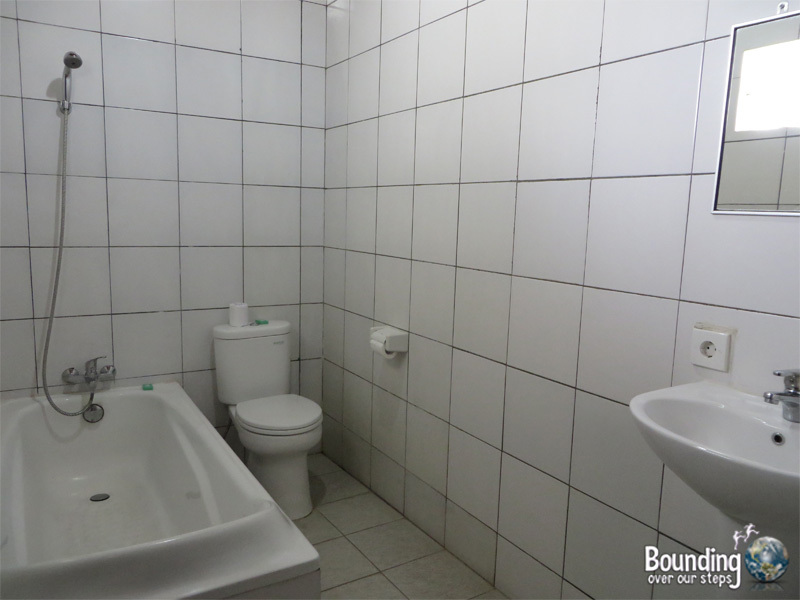 Rooms are cleaned daily, and housekeeping will give you fresh towels and two more bottles of water. 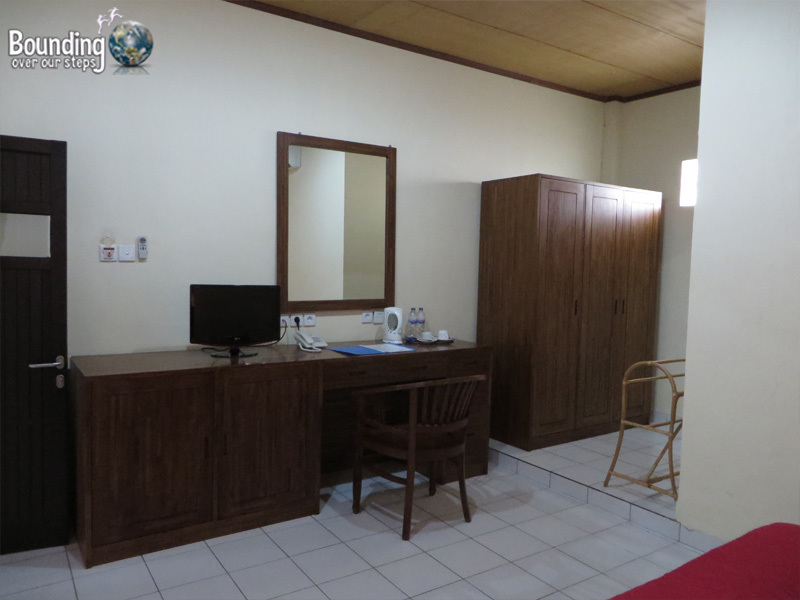 The air-conditioned room includes a mini-fridge, hot-water kettle with a supply of coffee and tea, and cable TV, with not only Indonesian channels, but also English, German, French, Russian, Korean and Mandarin Chinese. We were very pleased that the free wifi had a very strong signal in the room. 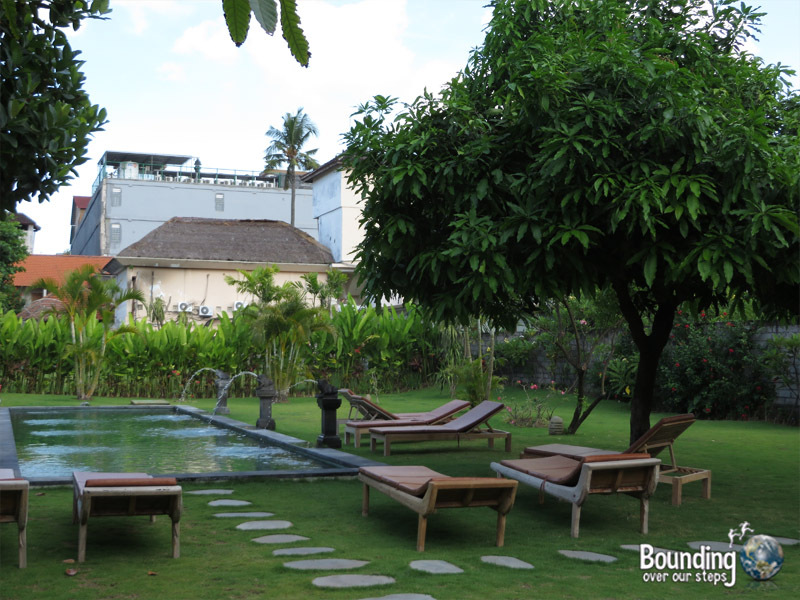 Si Doi Hotel also has a beautiful pool, surrounded by comfortable lounge chairs and a serene garden. If necessary, laundry service, room service (with a 10% discount for guests), and luggage storage is available through the front desk. Breakfast was included with the price of our room and could be served anytime we wanted, even in the afternoon if we so desired. 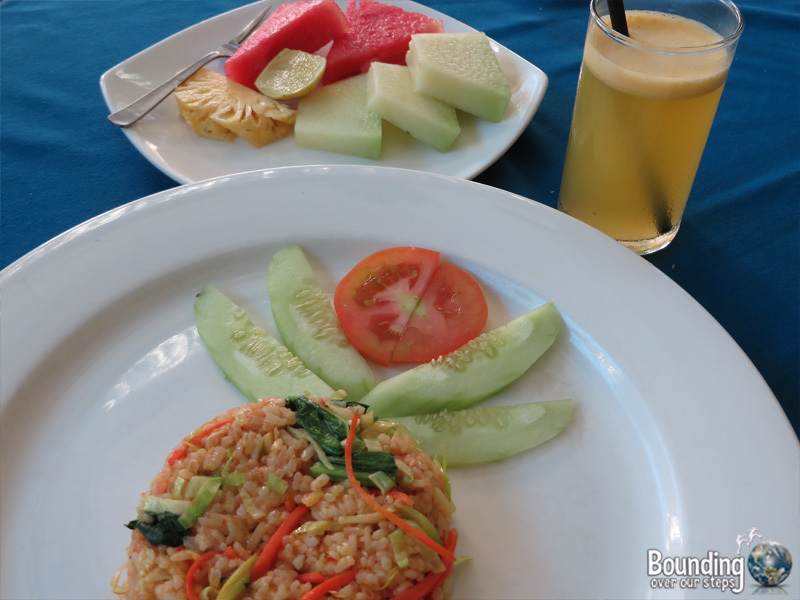 The set menu options were more extensive than many hotels and they were very eager to accommodate our vegan requests, cooking the nasi goreng with olive oil and not including the traditional egg and fish crackers. We also received fresh fruit juice and a fruit plate. We very much enjoyed our stay at Si Doi Hotel Legian and recommend it for its great location and top-notch staff. We enjoyed Legian as it was still close to the beach and what a lovely beach it was! We still got the crappy tourist stuff as we walked there though, like “take a break and look in my shop” and “madam, madam, good price”. You know the drill. But it was far enough away from the dreadful Kuta scene. To be honest, I would book in a place that is the furthest from that and yeah, 3 nights outta be enough. Have you considered taking a surfing lesson while you’re there? Seems to be the place to do it.